In early autumn, when the crowds of tourists and seasonal residents leave the Cape, it’s a wonderful time to visit and experience Fall Festivals in our area! Our small towns become small again and our fall events are unique, more “homey”, and just plain fun. Plan your visit to Sandwich, MA during one of these following special event weekends. During Columbus Day Weekend plan to attend the Yarmouth Seaside Festival. Yarmouth is located an easy 20 minute drive down scenic US Rt 6 so staying at Isaiah Jones Homestead means that you will be out of the (small) crowd but still have easy access to the event. The Yarmouth Seaside Festival takes place at Joshua Sears Memorial Field and includes an Arts & Crafts Fair, Rides & Games, Live Music, Great Food, and Entertainment. The festival starts at 10:00am on Saturday, October 6 with pumpkin decorating. Then at 11:00am, cheer for your favorite entry in the Bed Race! The Arts & Craft Fair, food, kids’ activities, and entertainment continue from 10am to 5pm on Saturday and on Sunday. From 5:00pm to 8:00pm on Saturday, join Cape Cod neighbors at the Bonfire at Bass River Beach. On Sunday, the Annual Seaside Parade will step-off at 12:00pm celebrating 40 years of this special event. At 8:00pm, on Seagull Beach (West Yarmouth), enjoy the Fireworks display done in memory of committee member Bob Stanton. Since it’s a 3-day weekend, stay until Monday and check-out all the sand sculptures on Bass River Beach. Maybe you will want to enter this sandy competition that runs from 9:00am to noon! If boating is more to your liking, register for the Canoe & Kayak Race at 9:00am. The race begins at 10:00am up river from Bass Beach to Wilbur Park. The after-race party and award ceremony will take place at The Riverway Lobster House. The Sandwich Glass Museum’s 7th Annual Pumpkin Festival is scheduled for Saturday, October 20, 2018. 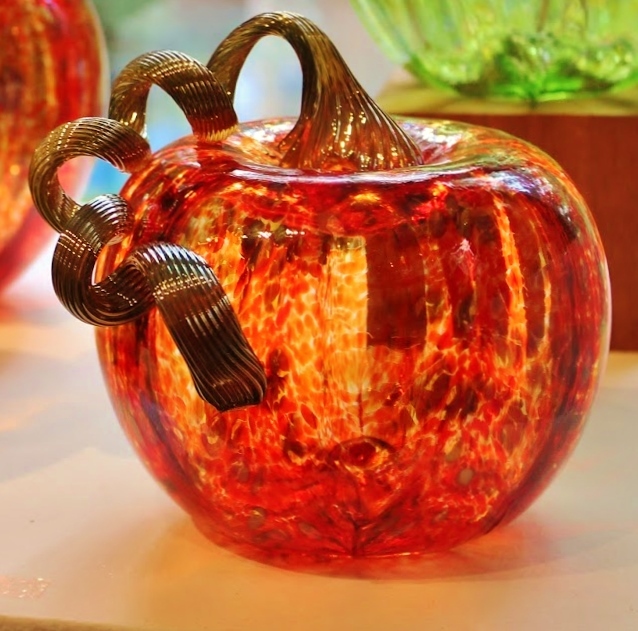 From 10:00am to 2:00pm, talented glassblowers will be creating beautiful and unique glass pumpkins. Start your own glass pumpkin collection with large or small pumpkins created using different colors and creative color patterns. There are other events to enjoy at the Glass Museum during October. You can learn a lot about our town on a Sandwich Village Walking Tour that starts at the Glass Museum on the 1stand 3rdWednesday of the month at 10:00am. On October 17th, at 7:00pm, the “Talk of the Town” Speaker Series will feature Laurel K Gabel who will enlighten the listeners about Early Gravestones and Their Stories. There is no better way to end the month of October than by getting “spooked” at the Sandwich Halloween Festival.The Heritage Museums & Gardens will host this “spooktacular” family festival. The dance party, led by DJ Ooch, will be just one part of the family-friendly event. Take a ride on the vintage carousel, create a Halloween-themed craft, and snap a family photo in our ghostly Model T car. The cost is just $5 per person ($25 family max cost) for this fun Halloween party. Sandwich, MA is the place to visit in October and Isaiah Jones Homestead is the place to rest your head after a pleasant fall day filled with fun. Make your reservation for your fall getaway now. This entry was posted in Attractions, Festival, Museums by admin. Bookmark the permalink.